Monash Masters students from Communications and Media Studies, Journalism and Cultural and Creative Industries enjoyed two days of intensive presentations, panel talks and hands-on workshops at the School of Media, Film and Journalism’s (MFJ) 2018 graduate media festival, Creative Directions. This year’s theme was Future Tense, hosting panels ranging from hashtag activism to data journalism, from VR to PR and from ethical practice to engaging communities. The festival explored what makes individuals tense about the future of work in the media, communications and cultural industries. It investigated how social media, automation and algorithms are transforming how we work, live and communicate. Students had the pleasure of hearing from, and interacting with, guest speakers from established organisations including the ABC, The Guardian, The Sydney Morning Herald, and The Age. The program also featured a number of MFJ alumni, who provided students with excellent insight into breaking into the ever-evolving industry, including what skills and knowledge early career professionals need to navigate through the rapidly changing media landscape. The festival addressed the big questions, like how changing geo-political dynamics in the Asia-Pacific region will shake up our media industries, the requirements of a socially responsible start-up, and how to use big data and analytics while remaining accountable and ethical. Acting Program Director for the Masters of Communication and Media Studies and Creative Directions Conference Convener Dr Maura Edmond said the festival was a fantastic opportunity for MFJ students to engage with some of the leading thinkers and creative practitioners. 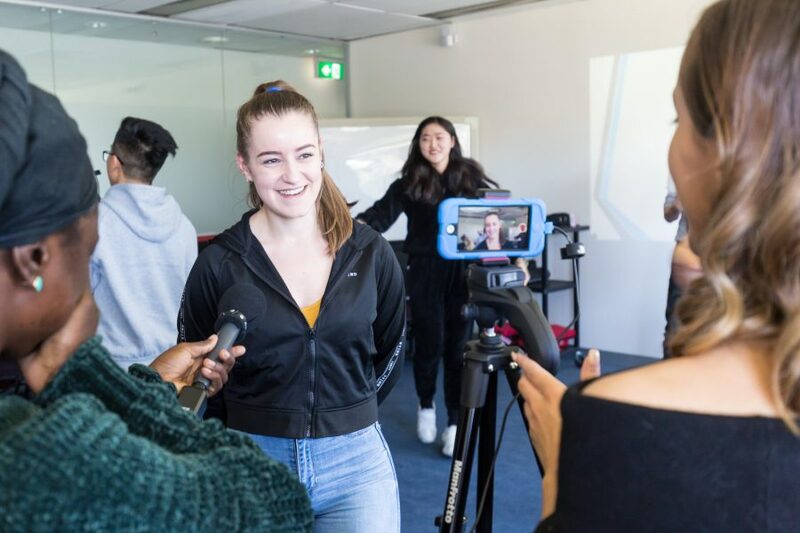 “Creative Directions is one of the main ways our programs connect students with local, interstate and international media and communications industries,” she said. Dr Edmond said the festival allowed the students to connect the concepts and concerns discussed in class with actual work. “I would do a little happy dance every time a guest speaker told students that crunching social media analytics and getting clicks is easy, but doing the research and really understanding the issues that you're producing content about, is harder and infinitely more important,” she said. Well done and thank you to all the MFJ staff, guest speakers and volunteer students for another wonderful year of Creative Directions!